We had Christmas with my little nephew this past weekend and I manage to get both boys to sit still and look at the camera for a total of 0.000001 seconds. Luckily, my camera was fast enough to capture the moment. This entry was posted in Blue Eyes. Your nephew has gotten so big! He is so handsome! 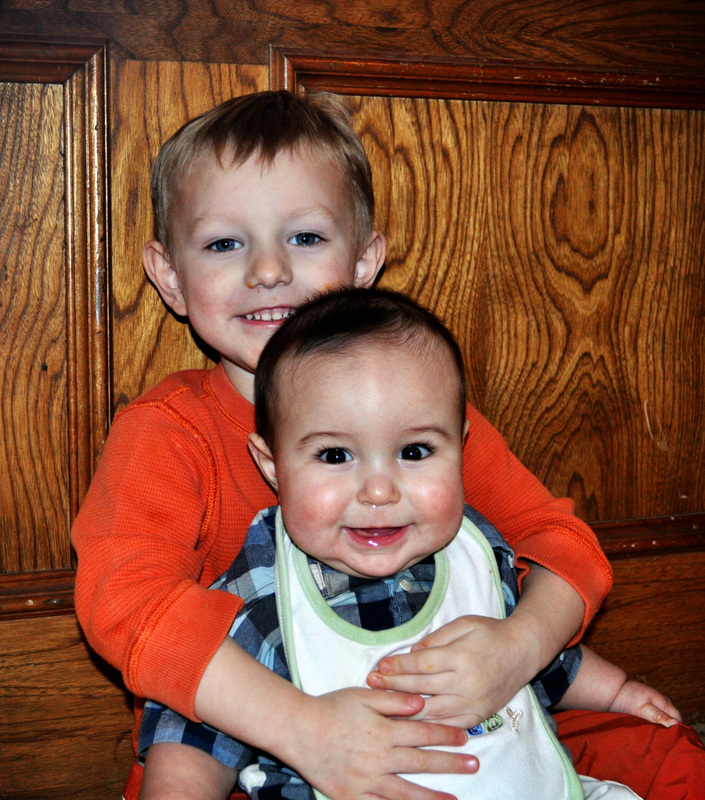 Kimber, thanks so much for the great picture of my boys! They are so adorable. They are both smiling so perfect! I love it. Keep taking the pictures, I love them.